Unmissable Beauty And Style Tips For Your Wedding Day! All attention will be on you during your wedding day, so it’s essential that you look your best for the big day. You need to be sure about the decisions you make so that you don’t regret anything when you look back at pictures for years to come. The most important thing to remember is that it’s your day so it’s great to add elements of your style to your outfit. Here are some other unmissable beauty and style tips for your wedding day! A lot of people feel that they must go OTT with their makeup on their wedding day. And although it’s great to look your best on your big day, you don’t have to use lots of products that make you look like an entirely different person! Work with your makeup artist before the big day to find a look that works for you. Tell them about your current makeup routine and what you are hoping to achieve for your big day. You might want to go for a natural look which highlights your best features. If you aren’t happy on the wedding day, tell the makeup artist and they will change it for you so that you don’t regret it later! It’s so important that you choose the dress which is most fitting for your style. Just because it’s traditional to have a long white dress with a train doesn’t mean that it’s right for you. There are so many different styles of dresses available, so make sure you try on a few to find one which is best suited to you. A lot of brides are going for shorter dresses now as they feel uncomfortable in a longer style. Therefore, choose something which works for you and shows off your best assets! One thing you definitely need to book in for your wedding day is a manicure. Your beautiful fingers will be on display a lot for your big day, so it’s important that they look their best. 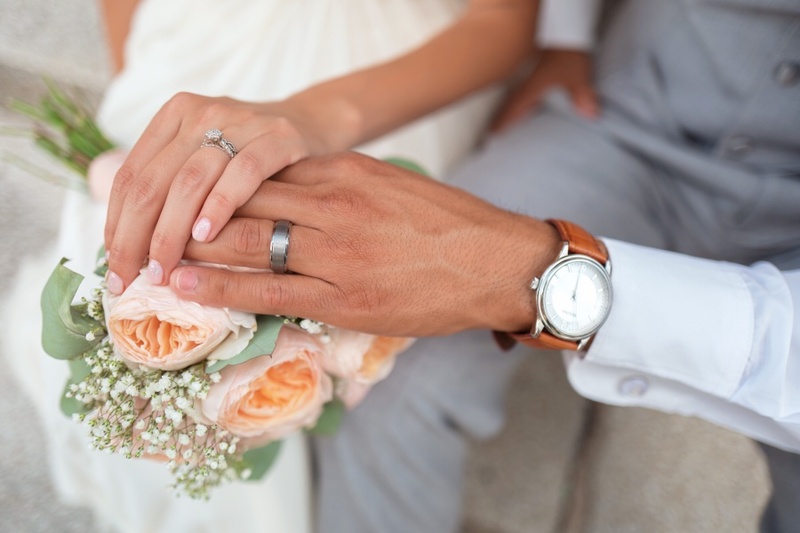 Everyone will want to look at your new wedding ring! A lot of girls go for a traditional French manicure which will look great with your wedding ring. If you are a lot more colorful, you might want to go for a gelish manicure in a fun color. Remember once you have chosen your wedding ring such as Tacori wedding rings, you can then decide which manicure to go for! It’s such a long day that it’s hard for your makeup to stay intact for the whole time. A lot of girls ask their makeup artist to come to the venue to top them up before the evening. But if this isn’t possible, you should ensure you carry some makeup with you. As this article explains, you should take a concealer which will help you to hide any blemishes in the day. After all, your heavy foundation may wear thin during the day. Remember to carry your lipstick as well, so that your lips will look fantastic all day long! Remember practice makes perfect with your hair. Keep trying different looks till you find the right one for you!